The interest form for those who would like to be considered for the 2018 Southern Senior Cup, Team Kentucky, is open right now! 3-4 players in each age division (35s, 45s, 55s, 65s, and 75s) will be selected by team captains in March and the team will travel to Huntsville, Alabama May 31s-June 3rd to compete for the Southern title. This event has drawn some of the best adult players from around the section, including former professional players and NCAA champions. All players must be USTA members, can not have a current ATP or WTA ranking, and must be a 4.5 or above player or a 4.0 and above player if 65 years or older. If you are interested in being considered for this prestigious team, you can fill out the interest form HERE. For additional questions, you can call Bryan Hash at 502-491-1290. 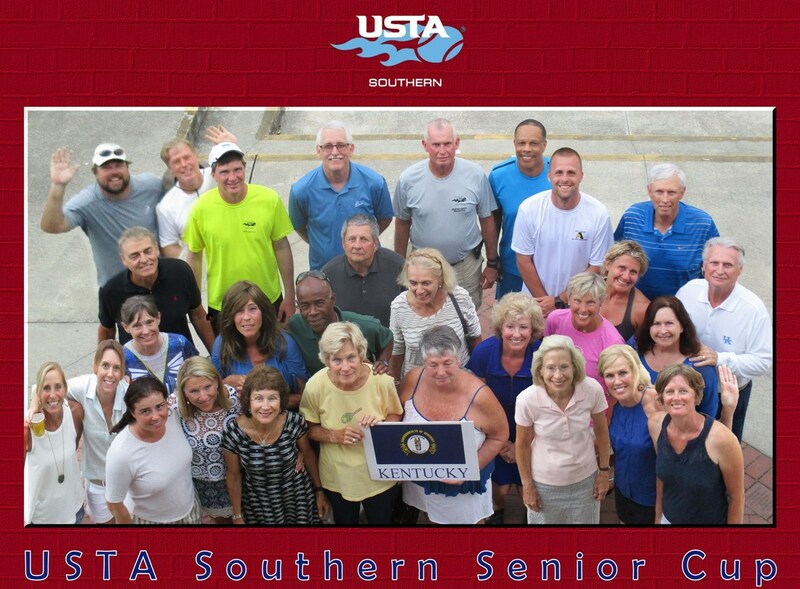 Note: The Southern Senior Cup takes place the same weekend as the 55 and Over Kentucky State Championship.